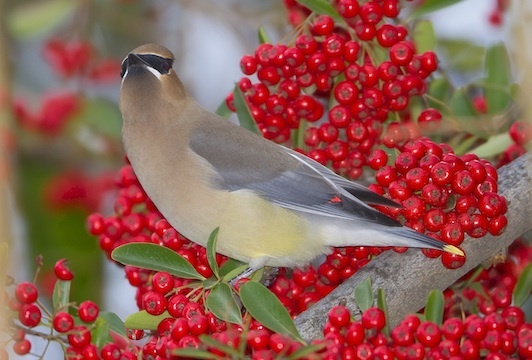 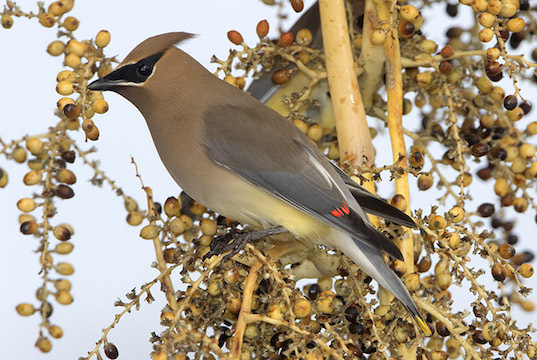 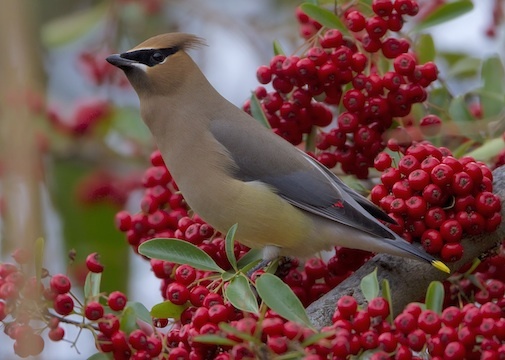 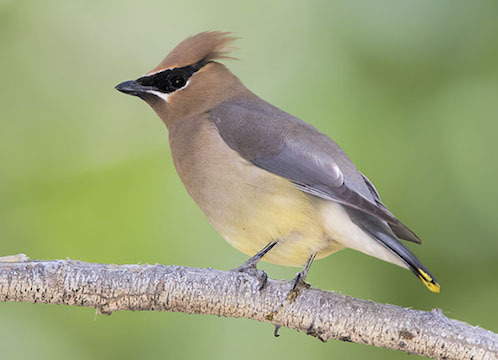 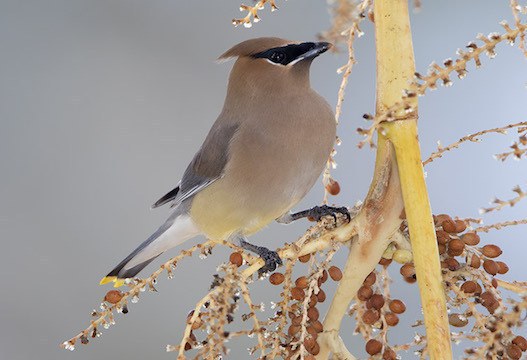 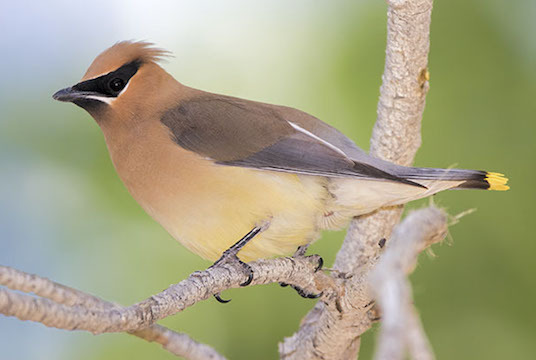 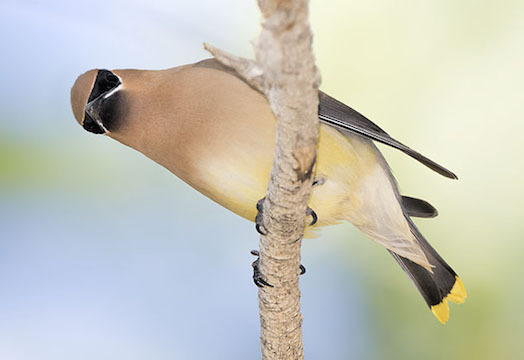 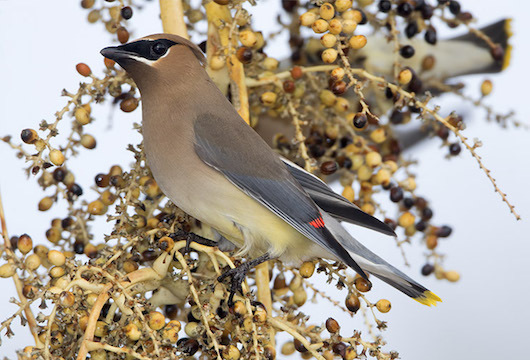 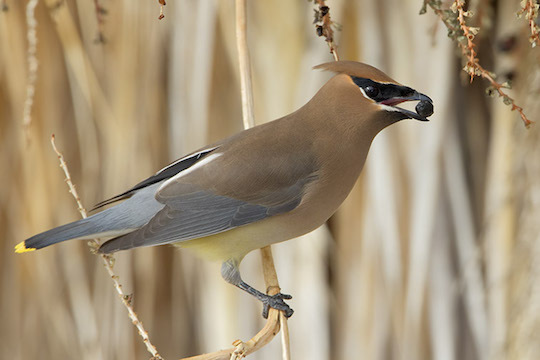 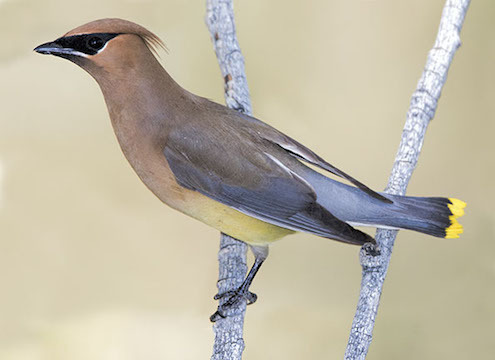 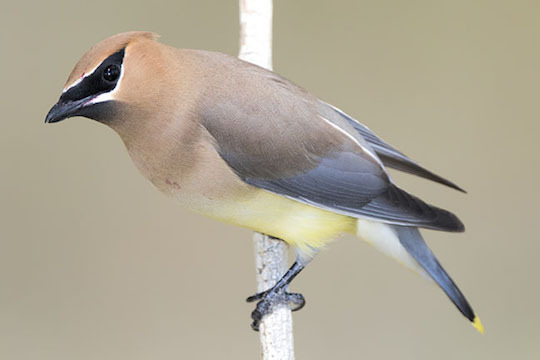 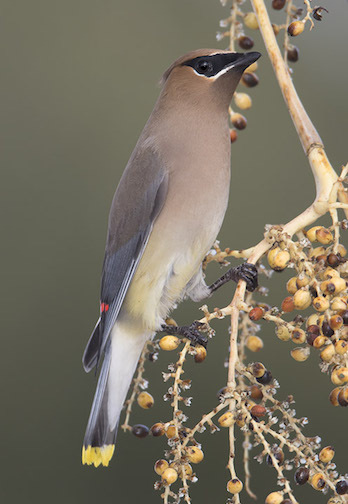 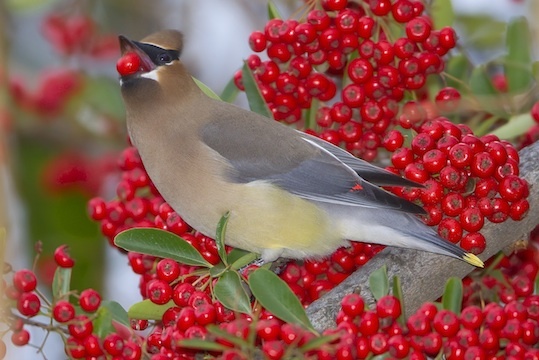 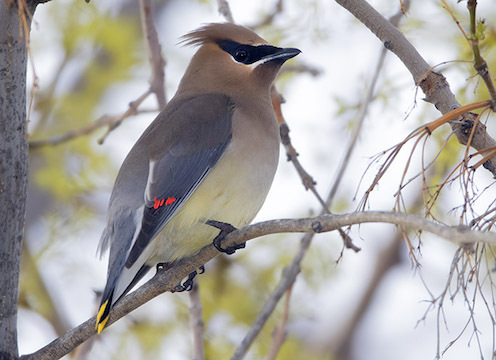 Cedar waxwings are lovely, highly social fruit-eating birds with black masks, short, neat crests and often, red 'waxy' structures on some of the wing feathers that give them their name. 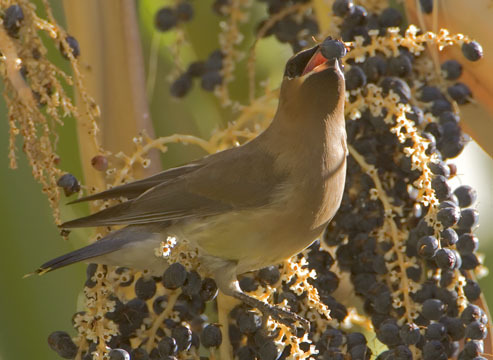 They are famous for sitting in a row and passing a fruit from one bird to another. 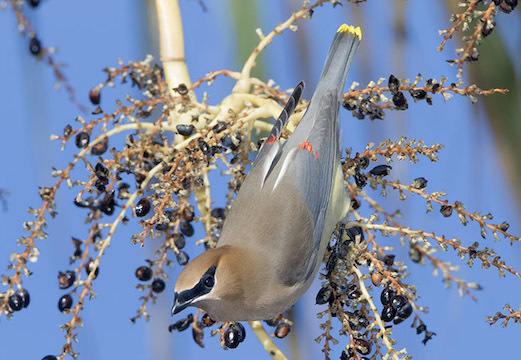 In California they are much better known than their more northerly relative, the bohemian waxwing. 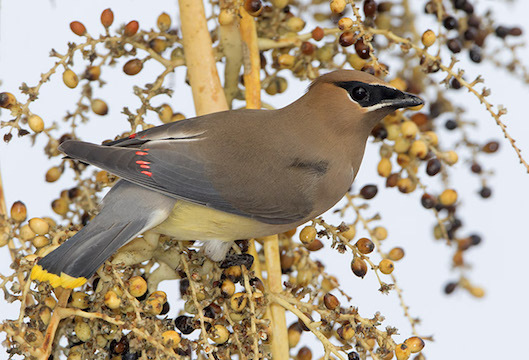 These wintering birds were feeding on palm fruits near Palm Desert and Lake Perris, pyracantha berries in Yucaipa, and coming to water at Big Morongo, all in California.